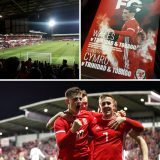 With Ben Woodburn taking a mere 261 seconds to score his first international goal, he became the first debutant to score for Wales in almost a decade since Ched Evans scored an even more audacious backheel with his first touch against Iceland in 2008. 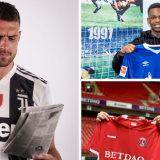 In part 1 of this blog Russell takes a look at some other goalscoring debutants. 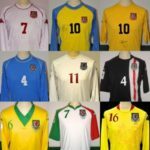 Freddy Eastwood – Nine months before Evans’s backheel, Freddy Eastwood scored in first half stoppage time in Burgas, Bulgaria. Qualified for Wales via his Llwynhendy born grandfather, Eastwood had previously scored a hattrick against Swansea on his league debut, with the first goal coming after only 7 seconds: a league record for fastest goal on league debut. Four goals in his first seven caps suggested John Toshack had unearthed striking competition for Rob Earnshaw and would make the wait for the likes of Sam Vokes and Ched Evans to ascend to the senior squad more tolerable. But Eastwood’s flow of goals at Southend dried to a trickle at Wolves before a transfer to Coventry saw the well practically dry up completely. 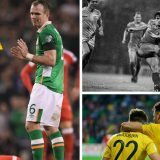 His eleventh and final cap came two and half years after his tenth in the inauspicious surroundings of the Carling Cup versus Ireland. 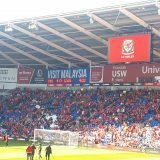 Three Wales goals in his first five internationals is proof of why he was an occasional makeshift centre forward for Palace and is a better return after that tally of caps than the likes of Ian Rush, Dean Saunders, Ivor Allchurch, Gareth Bale, Craig Bellamy and John Toshack mustered. 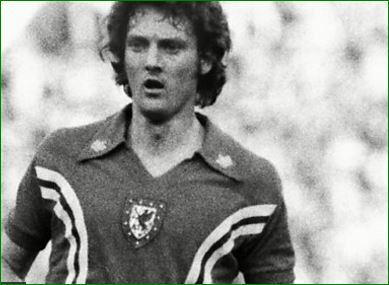 But only one more goal followed – against Belarus at Ninian Park – and despite never fully recovering from his broken leg he made a 32nd and final Wales appearance against Germany in a masterful stoke of man-management by Mark Hughes. Oh, and big Iwan never did score for Wales. Mark Hughes – Wales’s manager that day also made a famous goalscoring start for Wales with the winner at his local Racecourse Ground against England. Late on in the game Hughes had second goal disallowed for offside. 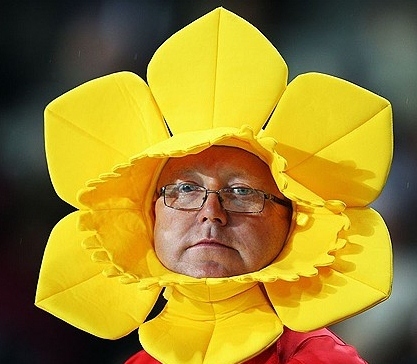 It remains the last time Wales have beaten England. Interestingly, of Wales’s top 10 all time goalscorers Hughes is one of only three players to have made goalscoring debuts. 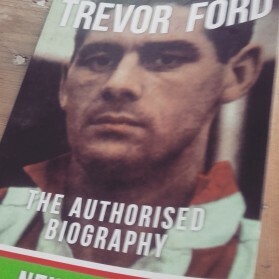 Trevor Ford – One of the trio is Ford who, having played in the last unofficial wartime international against Northern Ireland, made his official debut at home to Scotland in 1946 in the first international match after the cessation of war. Ford went onto become Wales’s, then, greatest goalscorer with only Ivor Allchurch, Ian Rush and Gareth Bale rivalling him since, though each have vastly inferior strike-rates. With the game tied a goal apiece Ford played a one-two with Bryn Jones, the then-mostly costly British player, before rifling the ball into the top corner. He later surpassed Jones when he transferred to Sunderland from Aston Villa with both the British and world transfer records being broken. His Wales career finished with 23 goals in only 38 caps, though both tallies would have been higher but for injuries due to his robust style of play, fallouts with selectors and the controversy of his autobiography in which he revealed the under-the-table payments that were endemic in the game as a way of getting round the maximum wage. Even once the rumpus had died down – Ford had originally received a sine die ban from football – he remained suspended from playing in the English football league. Despite scoring goals for PSV Eindhoven Jimmy Murphy did not even name Ford in his provisional squad for the 1958 World Cup. Ford, by now 35, acknowledged that John Charles was the superior centre forward but with Charles injured for the quarter final against Brazil might Ford have offered more of a threat than international novice Colin Webster? Les Boulter – two internationals, but seven and half years, before Ford’s debut Ebbw Vale-born Boulter must have been looking forward to further caps after scoring the third goal in a 3-1 British Championship win at home to Northern Ireland in 1939. 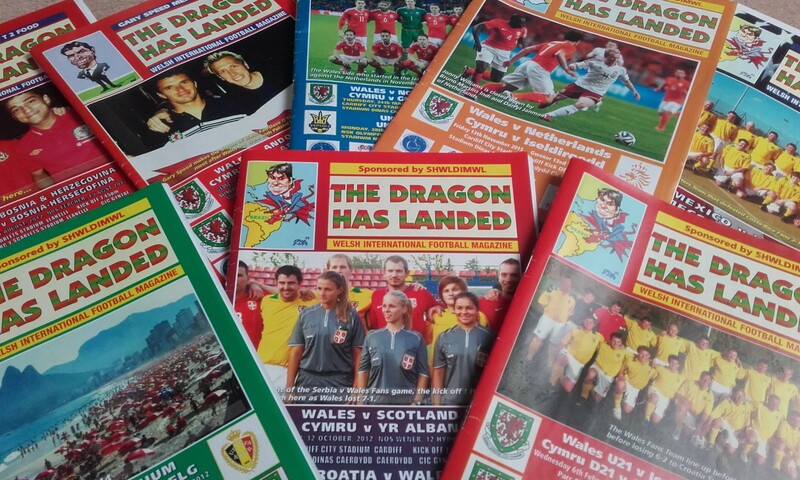 It served to ensure Wales shared the Championship following three outright wins earlier that decade. Brentford’s Boulter missed the friendly defeat in France two months later before hostilities left him stranded with a played one, scored one international record. Ernie Curtis – Cardiff-born Curtis was a distant relative of mine. But if that doesn’t distinguish him enough, for many years he remained the youngest player to win the FA Cup having played in his hometown’s famous 1927 victory at just 19. 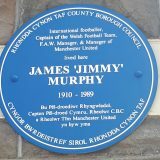 Later that year he made his Wales debut and helped salvage a draw at The Racecourse against Scotland, who had raced into a 2-0 lead, by scoring on the stroke of half time to pull a goal back. 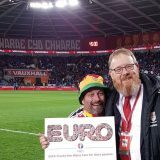 Despite a goal-scoring start he had to wait a further four years for his second cap, perhaps due to the strength Wales had during that decade reflected in the success it had in the British Championship. 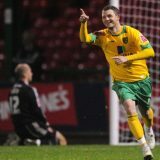 It came against the same opposition at the same ground as his first and this time he scored a brace, including a penalty. Again he had to wait for another cap with the third and final coming two years later. He failed to score, but like Boulter ended with a goal a game strike-rate. 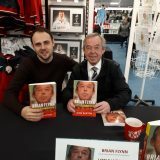 Alan Curtis – the only other Curtis to represent Wales is Rhondda-born, Swansea-worshipped Alan, whose international debut was against England in the FAW’s 1976 centenary match at Wrexham. Curtis made his debut along with Carl Harris, while Ian Evans, Brian Lloyd and Joey Jones won only their second caps in an experimental side. That was nothing compared to Don Revie’s team that featured eight debutants and only one player (Mick Channon) with more than 20 caps. 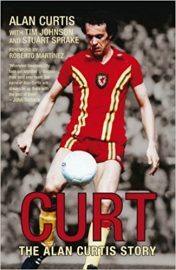 England strolled into a two goal lead but Curtis grabbed a last minute consolation and went onto be a regular in the Wales team for the remainder of the 1970s and early 80s where he starred in Swansea’s remarkable ascent through the divisions under John Toshack. 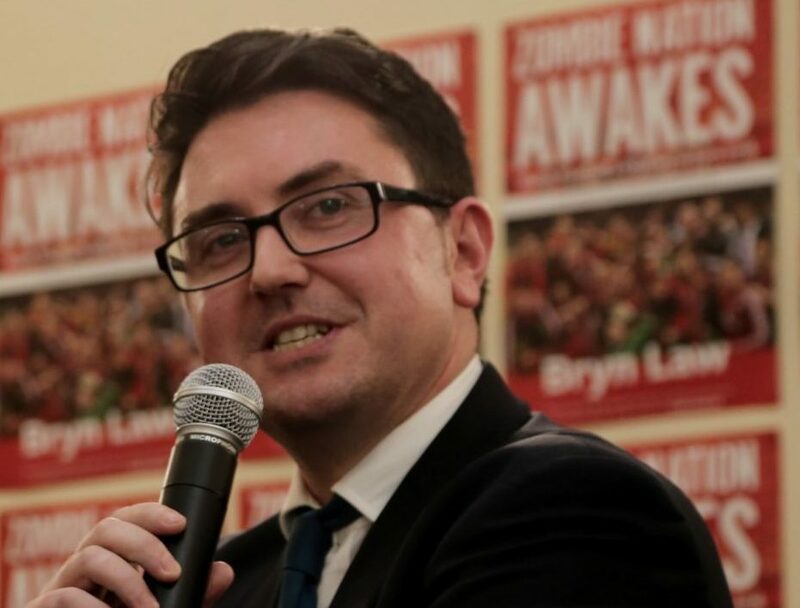 Phil Dwyer – if Curtis is Mr Swansea then Phil Dwyer is Mr Cardiff. The club’s all-time record appearance holder with 575, Dwyer won his first cap in Tehran of all places. Iran were due to face Scotland at the 1978 World Cup and wanted a taste of British opposition. Resplendent in its iconic Admiral kit, Wales won by a single goal that Dwyer swept home on 71 minutes after a fortuitous rebound. He also had a goal disallowed and hit the post. Dwyer then scored on his second appearance against England in front of the Canton Stand at his beloved Ninian Park. Richard Jarrett – Dwyer might not have scored a debut hattrick, but Richard Jarrett did.The Ruthin FC player faced Ireland in Belfast in Wales’s final 1888-89 Home Championship match. 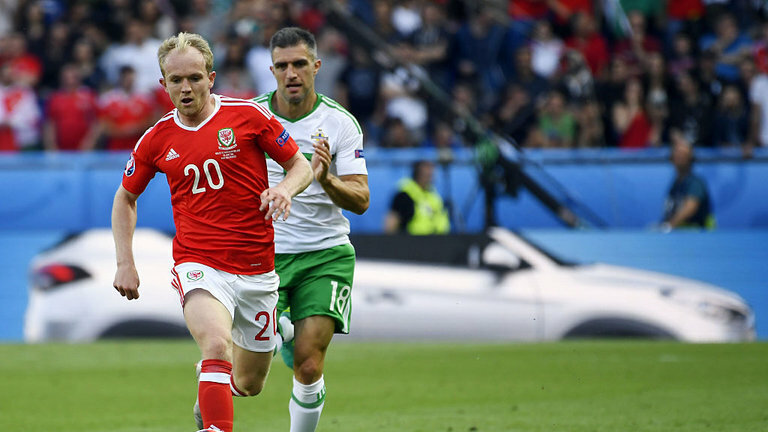 He scored in the 20th, 44th and 60th minutes to register Wales’s fourth hattrick, including two four goal hauls, against Ireland in the fixture’s eighth time of playing. 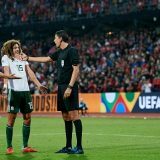 He failed to retain his place for the first two matches of the following season’s Championship but was recalled for the final match against Scotland at Paisley that Wales lost 5-0. 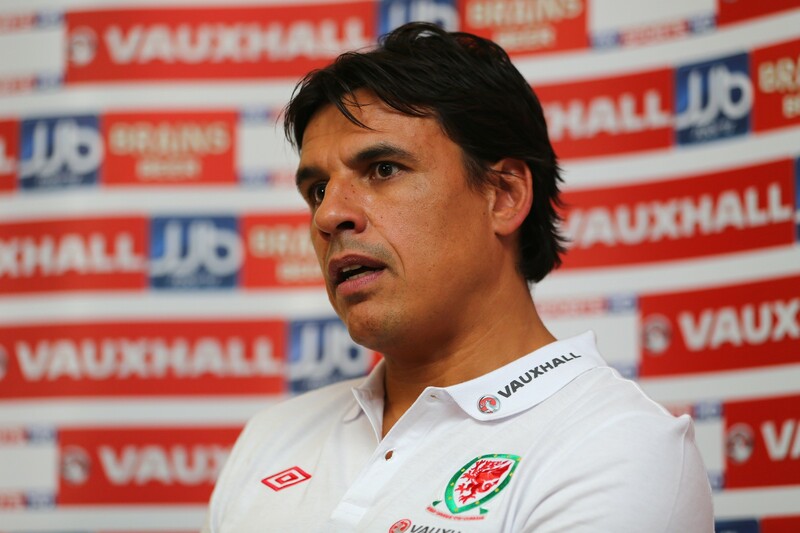 Frustrated by selection inconsistencies Jarrett never played for Wales again and emigrated to Canada. 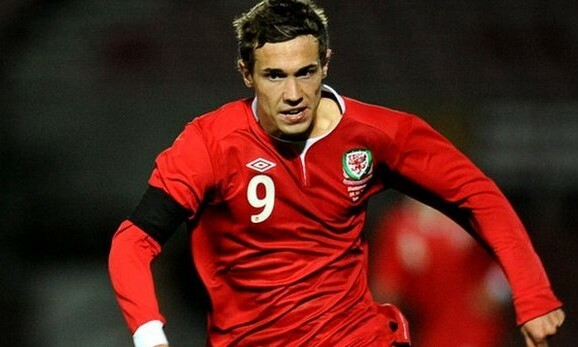 He is one of only three players to average more than a goal a game in their Wales careers. 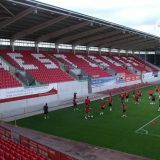 Herbert Sisson, John Roach – the other two players to average better than a goal a game for Wales both made goalscoring debuts in the same match. Wrexham Olympic FC’s Sisson and Oswestry’s John Roach played against Ireland in Belfast in 1885. Trailing 2-0 at half time, a devastating 14 minute, six goal spell in the second half turned the game on its head. Sisson scored a nine minute hattrick, and Roach a brace. 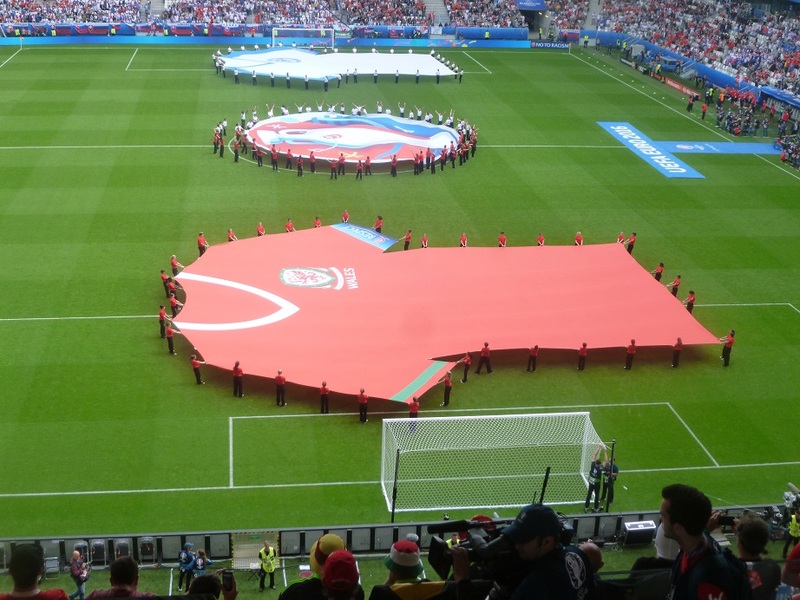 Wales eventually won 8-2. Sisson scored on his second appearance but won only one further cap to end with a played three, scored four international record. While Roach never played again. Robert Roberts – Roberts, the only international from Rhosllannerchrugog FC near Wrexham, had less luck on his debut against Ireland. Despite scoring after 10 minutes Ireland took control of the game with Olphert Stanfield, Ireland’s most prominent player of the late nineteenth century, scoring four times. Ireland ran out 7-2 winners. Roberts missed Wales’s next five winless games before earning a recall, by this time a Crewe player, to face England at Stoke. 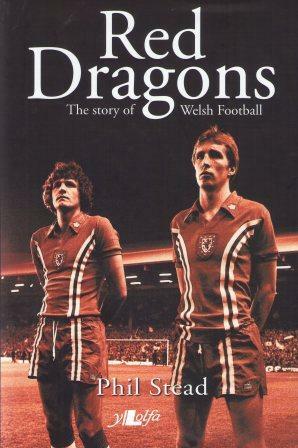 England ran out 6-0 winners and after conceding 13 goals in two games, Roberts never played for Wales again. Tommy Bamford – Another goalscoring debutant with Wrexham connections was the club legend Tommy Bamford who made his debut along with nine other players for the ‘Unknowns’, a scratch Wales team that faced a strong Scotland side at Hampden Park deprived of its English football league players. Only six minutes into his debut Port Talbot-born Bamford, still Wrexham’s all-time record goalscorer, gave Wales an early lead. Fred Keenor then marshalled, cajoled and inspired the team to a Rorke’s Drift effort and a 1-1 draw; his efforts earning him the gift of an Airedale terrier from a Scottish admirer. Bamford won more caps than many of these unknowns, most of whom were discarded after they failed to repeat their heroic efforts a month later at home to England (0-4), but ended his career with the solitary goal in five appearances. 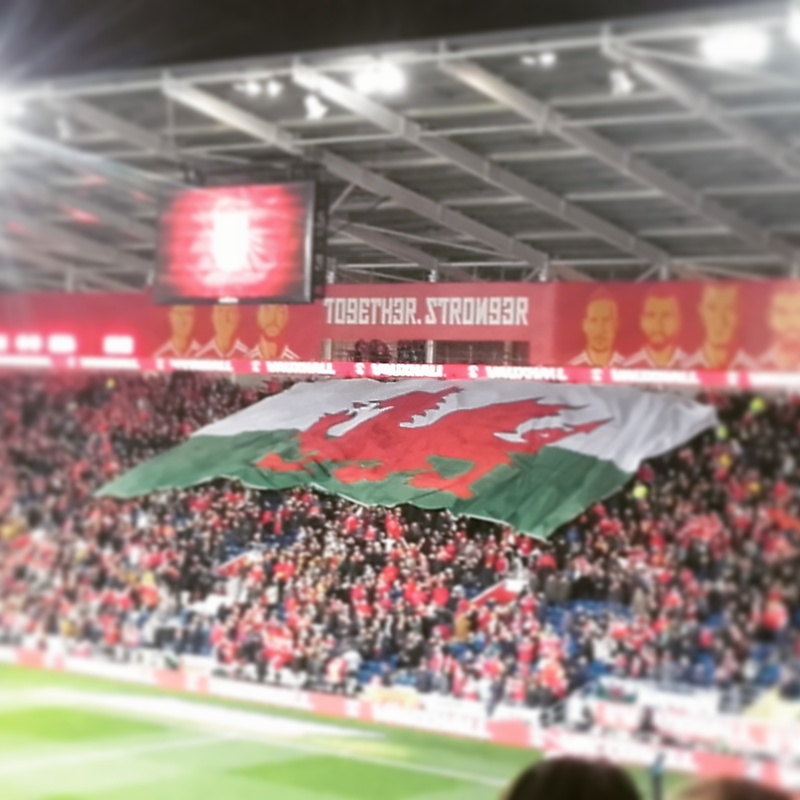 Nick Deacy – unlike many of the Unknowns, Cardiff-born Deacy’s non-league origins led not just to international but European honours in a remarkable career, which is more fully explored by Steffan Garrero in conversation with Deacy in this excellent podcast. Spotted by John Charles playing for Cardiff Corinithians, a goal-laden spell at Merthyr was followed by only 22 football league games for Hereford and Workington Town before PSV took a chance on Deacy following an impressive end-of-season tournament display against PSV for Hereford. Wales manager Mike Smith couldn’t ignore a Welshman playing on the continent for long and after amateur, under 21 and u23 caps Deacy made his bow in John Toshack’s absence against reigning European Champions Czechoslovakia. Between Leighton James’s brace of goals Deacy got on the end of a John Mahoney cross to score in a 3-0 win in which, in Deacy’s words, Wales “ran them off the park”. A further 11 caps and 3 goals followed in a short but impactful Wales career.